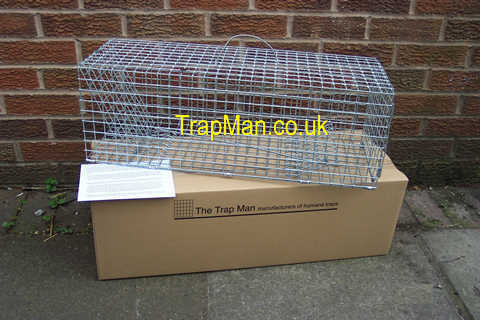 The Trap Man UK manufacturers & suppliers of humane cage traps. 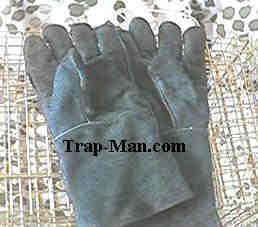 Remember The Trap Man gives you E mail help for as long as you own your trap, just quote your invoice number. 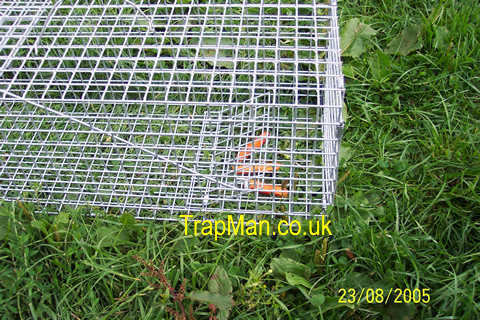 The Trap-Man live catch rabbit trap should be sited where rabbit damage is occurring, other sources of food should be eliminated wherever possible. On grass fields or cereals this will usually start along the ditch cop, headlands or directly opposite burrows, Humane Live Catch Rabbit Trap should always be sited as soon as damage is spotted. 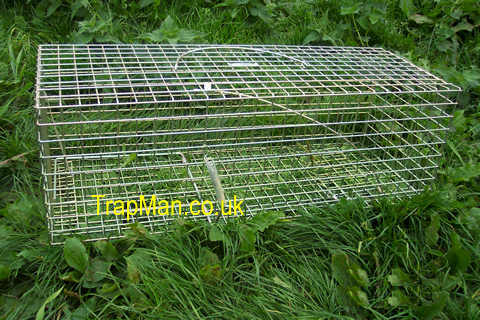 Ideally The Trap Man Humane Live Catch Rabbit Trap, should be set out approximately 8mts apart, in a parallel line of traps about 4mts out from their cover, hedgerow, ditch cop etc. 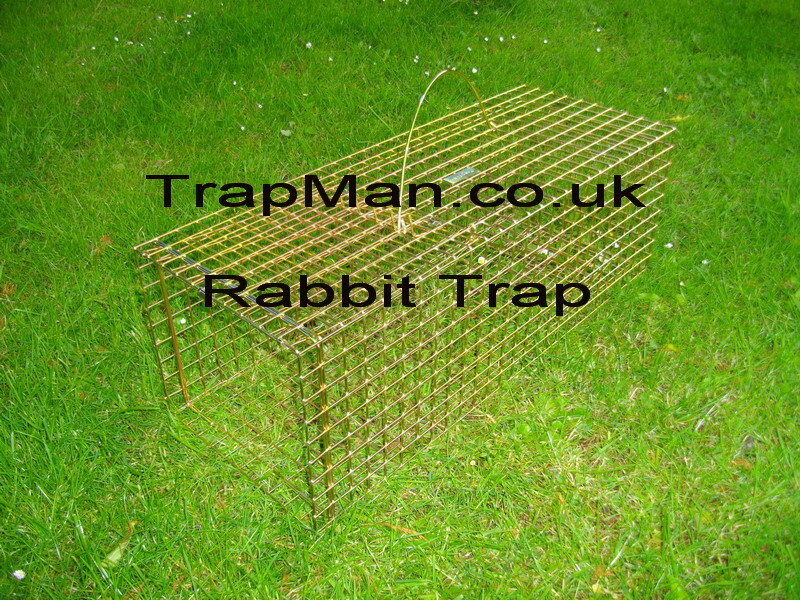 The Trap Man Humane Live Catch Rabbit Trap can also be sited in open fields where rabbits have been observed feeding recently. Check the number of rabbits to gauge how many rabbit traps to purchase. of rabbit traps used should be one half of the total number of rabbits counted. In glasshouses and allotments where only a few rabbits can cause considerable damage, a minimum of 6 rabbit traps should be used. 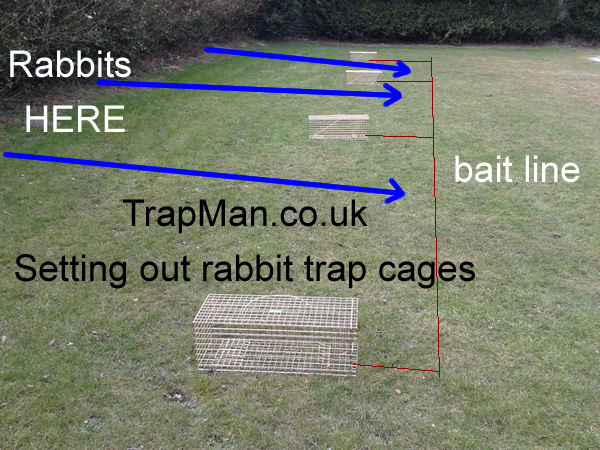 Place each Trap Man rabbit trap in line with the hedgerow or ditch cop so that the bait lines run towards the next Trap-Man Live Catch Rabbit Trap. Prepare the bait with fresh carrots cut lengthwise in to four, lay the bait just inside the live catch rabbit trap, place another piece right at the back of the live catch rabbit cage trap, place a line of bait 1mt apart between the live catch rabbit traps. Set the live catch rabbit trap by first flicking up the secondary lock on to the top of the door, holding the door up against the roof with the secondary lock prongs through the cage roof, with your other hand pass the setting rod which is suspended on the marked wire in the cage top under the open door. 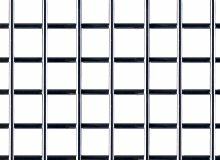 Sensitivity can be adjusted by bending the end of the setting rod up to lessen the sensitivity or down to increase the sensitivity. Check that the treadle plate is 20mm above the cage floor approx. 30°. Check the treadle does trip the door when pressed, and that the secondary door locks it correctly. 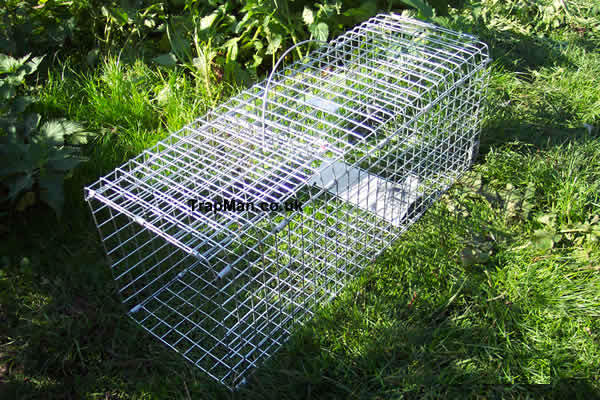 Once baited the Trap-Man Live Catch Rabbit Traps MUST be visited regularly and AT LEAST ONCE PER DAY, other non target animals must be released unharmed. The bait inside the trap must be maintained under the treadle under the trap, but the trail of bait out side the trap should not be replaced once the rabbits have started to take it. Rabbits can be removed by slowly tipping the trap onto it's end and reaching in through the now open door or turning the trap over onto it's roof to open the door and let the rabbit run out. Our new design standard rabbit trap pictured above, available NOW , we are currently collating our field testing. The main improvements are even stronger wire, electro galvanized frame after manufacture, larger wire mesh treadle plate, longer trap to give the captured rabbit more room and a strengthening bar surrounding the open end to prevent the entrance distorting.